Having Digestive Issues? 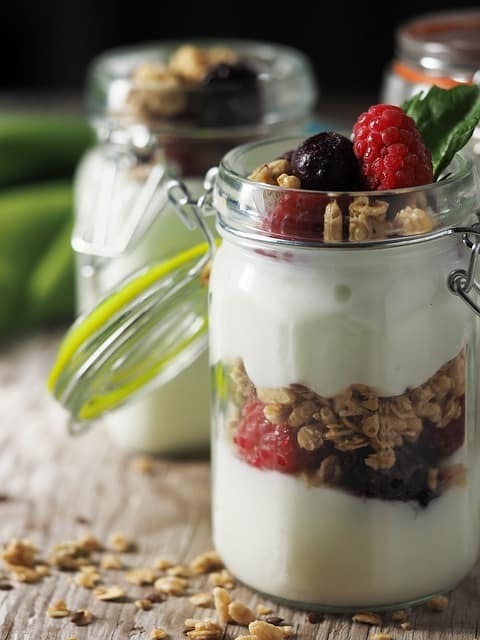 Kick start the day with fiber, probiotics, and Aloe Vera Yogo to put your body back in balance! Use your favorite Salutti YogoAlo Yogurt drink, 1 cup of blueberries, 1 cup of blackberries, and 1 cup of your favorite whole grain oats! (Serves two). In a long glass, pour .25 cup of oats and .25 cup of blueberries. Pour 50 ml. of your Salutti YogoAlo Yogurt drink. Pour another .25 cup of oats and .25 cup of blackberries. Pour another 50 ml. of your Salutti YogoAlo Yogurt drink. Our Aloe Vera Yogo Parfait wakes up your digestive system by providing a great source of fiber, vitamins, and essential nutrients. It’s also a great way to naturally relieve constipation and promote regular digestion. We like it best for breakfast, but it makes a great healthy snack or treat at any time of the day!